The Trump administration is touting lower levels of greenhouse gas emissions after President Donald Trump's first year in office, even as it moves to roll back regulations intended to do so implemented under the Obama administration. Acting EPA Administrator Andrew Wheeler claimed Thursday that decreased regulation under Trump was responsible for the reduction. Environmental groups, meanwhile, said the credit should go to former President Barack Obama. 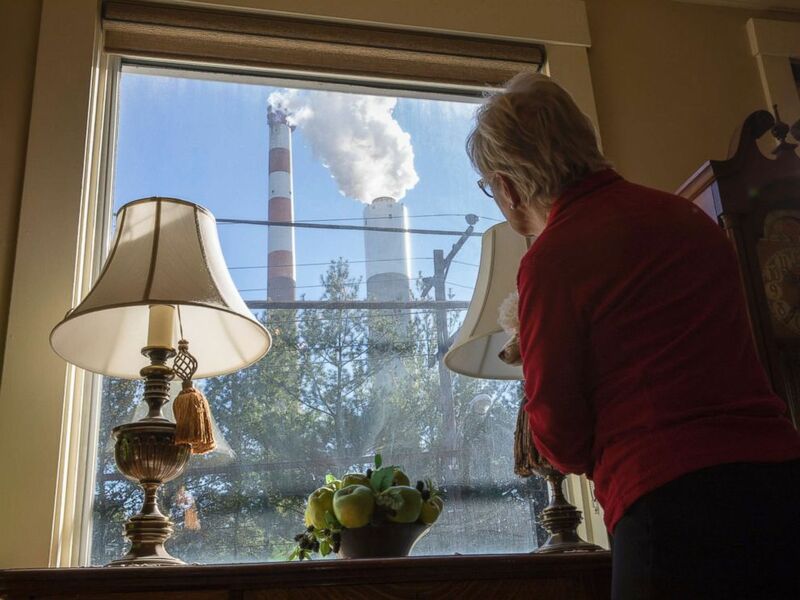 Marti Blake looks out her front window at the smoke stack of the 47-year old Cheswick coal-fired power plant, Oct. 27, 2017 in Springdale, Pa. Climate scientists say that while emissions reductions are a positive step the U.S. and other countries need to go much further and stop releasing more carbon dioxide into the atmosphere to prevent the effects of climate change from getting worse. The Environmental Protection Agency did not specifically mention climate change in a press release touting the lower greenhouse gas emissions in 2017 but credited Trump's agenda of reducing regulations for increased energy production and reduced emissions from industrial activity. “These achievements flow largely from technological breakthroughs in the private sector, not the heavy hand of government. The Trump Administration has proven that federal regulations are not necessary to drive CO2 reductions. While many around the world are talking about reducing greenhouse gases, the U.S. continues to deliver, and today’s report is further evidence of our action-oriented approach," Wheeler said in a statement. EPA says total greenhouse gas emissions declined 2.7 percent since 2016. Emissions specifically from large power plants decreased by 4.5 percent since 2016 and almost 20 percent since 2011, the agency said in a press release. The international agency that tracks greenhouse gas emissions says the United States has shown the biggest decline over other countries because of the growth of renewable energy, but that global emissions have gone up as other economies grow. 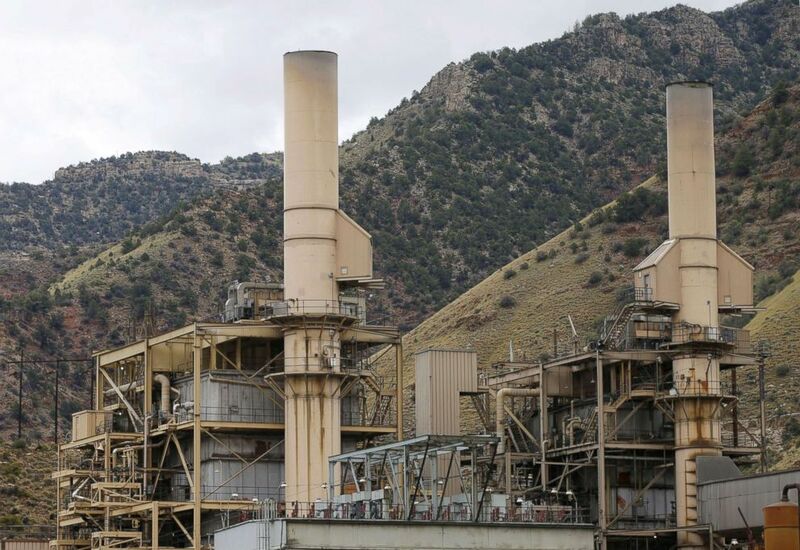 Smoke no longer rises out of the smokestacks at the coal-fired Castle Gate Power Plant outside Helper, Utah Aug. 3, 2015. One reason for the decline is that as renewable energy and natural gas production grows, power plants that rely on coal are closing or moving to other sources of energy. Even with Trump's promises to bring back coal and stop power plants from closing the number of plants that use coal has declined in recent years. EPA data for 2017 included 324 power plants using coal, down from 351 the year before and 482 in 2011. Environmental advocacy groups like the Sierra Club, which actively campaigns to close facilities that use coal, criticized EPA for taking credit for climate policies put in place under Obama. “It’s laughable that former coal lobbyist and acting EPA administrator Wheeler first refuses to do his job, and then tries to take credit for the job someone else did. America’s greenhouse gas reductions in 2017 are due to the Obama Administration’s climate policies and the tireless work of activists across our country," Liz Perera, Sierra Club's director of climate policy, said in a statement. "It’s ridiculous and insulting that the very person currently shredding the Obama era policies responsible for the greenhouse gas reductions is now trying to hoodwink the American people into believing his anti-environmental policies are responsible for the reductions." The Trump administration has moved aggressively to roll back Obama-era policies that would have required drastic reductions in carbon dioxide and other emissions that contribute to climate change. The administration, Republicans, and industry groups have said that those EPA rules like the Clean Power Plan went beyond its legal authority under Obama. Some Obama-era policies like the Clean Power Plan never went into effect, but many power plants have made efforts to reduce greenhouse gas emissions and pollution to comply with other rules. The EPA under Trump is in the process of replacing the Clean Power Plan and other EPA rules focused on emissions. Its own analysis of its replacements says that it could allow more pollution but that overall greenhouse gas emissions would still continue to decline.